Vaughn’s fourth year at the King of the Hammers race saw him take 7th overall in the 4400 class, becoming the first ever crossover driver to finish in the top 10 in the 4400 class. In 2018, Vaughn won the 4500 East Coast Championship, winning nearly every event he entered, culminating with winning Ultra4 Nationals in Reno. His rookie year ended with an impressive top 10 finish in the 4800 class, becoming the first crossover driver to finish in the top 10. With new updates and improvements to Brocky, his Ford Bronco race truck, Vaughn is now in the 4400 class running with the best of the best. Vaughn and teammate Loren Healy teamed up to push the boundaries of the Ultra4 and off-road landscape. This dream team collaboration is the official launch of the Fun-Haver Off-Road team; bringing decades of motorsport experience under one awning. Fun-Haver is a lifestyle brand that was created for people who live outside the box and seek a damn good time with anything they may do. 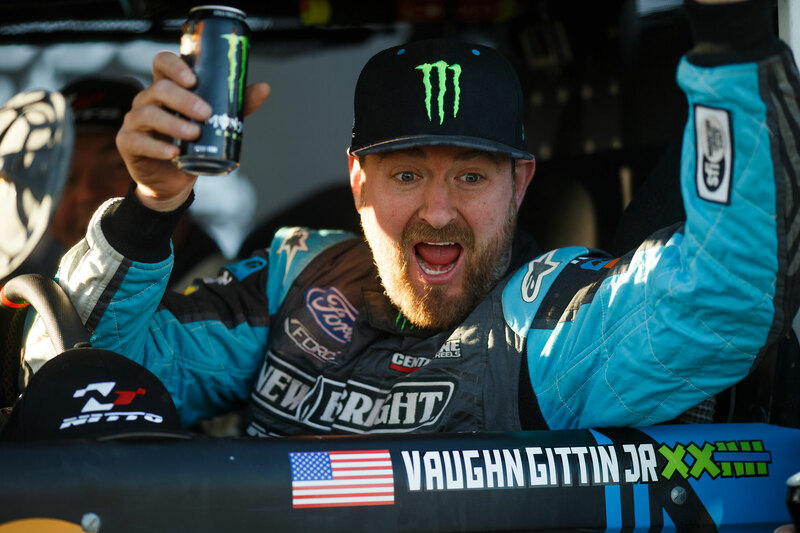 World Champion Drifter and Professional Fun-Haver, Vaughn Gittin Jr., is best known for his aggressive, foot-to-the-floor, big-smoke driving style from behind the wheel of arguably the most recognizable cars in the sport: the Monster Energy Nitto Tire Ford Mustang RTR. Vaughn finished 3rd in the 2016 Formula Drift Championship and is a three-time World Drift Series champion (2013, 2012, 2011). In 2005, he became the first American ever to win a D1 Grand Prix event when he stood atop the podium in the 2005 USA vs Japan competition. Vaughn again brought the title home for the USA in the 2007 World Championship. Based in Baltimore, Maryland, Gittin is the owner/driver for the RTR Drift Team. In 2010, he launched Mustang RTR, his vision for a new generation of Mustang that is available at select Ford dealerships worldwide. Find out more at www.MustangRTR.com In addition to his competition career, Gittin is an approachable media personality who has appeared on many popular television programs including Rob Dyrdek’s Fantasy Factory and Ridiculousness. He hosted the NBC Sports program Octane Academy and appears regularly on Formula Drift TV.